It’s #HP December, which means it is time to celebrate all things Potter. 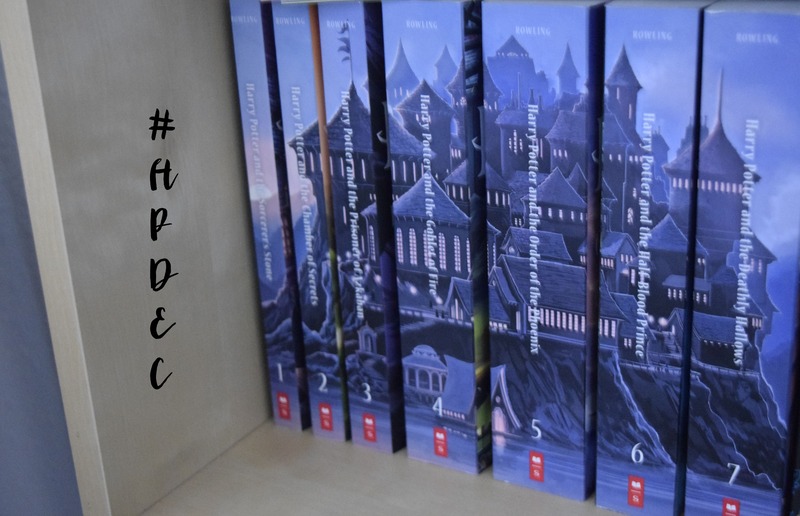 This year, I’ve chosen to re-read the Harry Potter books, but I also think that I might watch a few of the films–however you choose to celebrate, be sure to share with others on social media by tagging it at #HPDec. And, feel free to comment below so I can check out what you’re doing! Be sure to leave your website address or post so I can leave you some comments, as well! I cannot believe how fast December is going–can you? 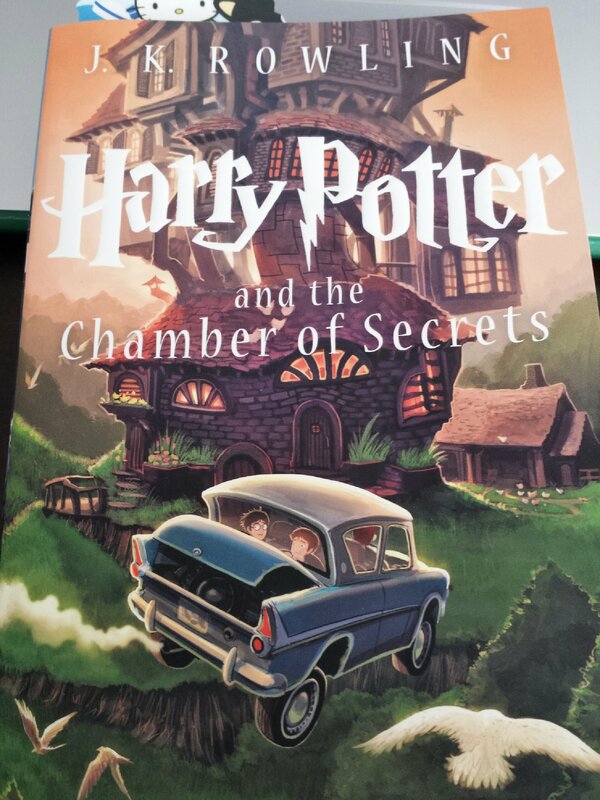 At the start of the second book in the Harry Potter series, Harry is living with his Muggle family, the Dursleys, and mostly living in his room. So much different than Hogwarts, Harry is counting down the days until he can go back to his beloved Wizarding school. However, none of the friends he made (Ron and Hermione, specifically) have contacted him throughout the summer, and his Uncle Vernon has Harry (and Hedwig, the owl), under lock and key. However, when Ron and his twin brothers show up in a flying car at Harry’s window, they help get him and his stuff to the Weasley home (the Burrow). There, Harry is treated like a normal child, albeit with a lot more leniency. He and the Weasley family are slated to meet up with Hermione and her non-Magical parents in Diagon Alley, but an accidental floo powder trip to Knockturn Alley (the dark side of Diagon Alley) shows Harry that there are darker forces at play–and that theme continues throughout the entire book. The dark permeates Hogwarts, and when the Chamber of Secrets opens and starts petrifying random students (those born of at least one non-magical parent) and Hagrid is taken away, Harry realizes he and Ron and Hermione will have to solve the mystery and close the Chamber before more people get hurt. As I have said, I read this series mainly in college, and was in the habit of a re-read when the newer books came out. And as I’m reading it now, I do see the darker elements, the things that sneak in as you realize and are privy to things when you age. Hogwarts is not the most perfect place on the planet. And Harry is learning that. There are still a ton of things Harry doesn’t know about the Wizarding world, and the House elf that tries to stop him is only the start of it all. I love the Weasleys, and how accepting and just so normal they seem. They are extremely comforting and I look forward to any Weasley appearance when I can get it. Harry is growing and his drive and fierceness will only help him in the future. I loved his interactions with Fawkes in particular. I am going to pick up the third book this next week. What are you doing for #HPDec?